Wilmington, NC, is a popular boating destination sandwiched between the Cape Fear River and Intracoastal Waterway. Public boat ramps are limited and can be very busy during the boating season. 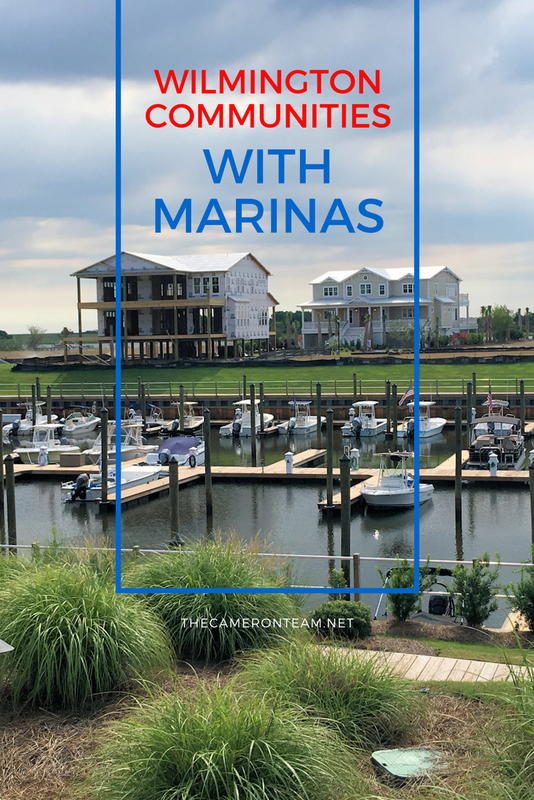 Home buyers who would like the convenience of walking to their boat may be interested in Wilmington communities with marinas. We’ve rounded up some of the most popular ones and listed them below. The Cape Fear River is a 202-mile-long blackwater river that flows south past Wilmington’s historic downtown and Riverwalk, widening into an estuary that meets the Atlantic Ocean. Boaters can enjoy dock-and-dine restaurants and unique sights along the river, including the U.S.S. North Carolina and Port of Wilmington. 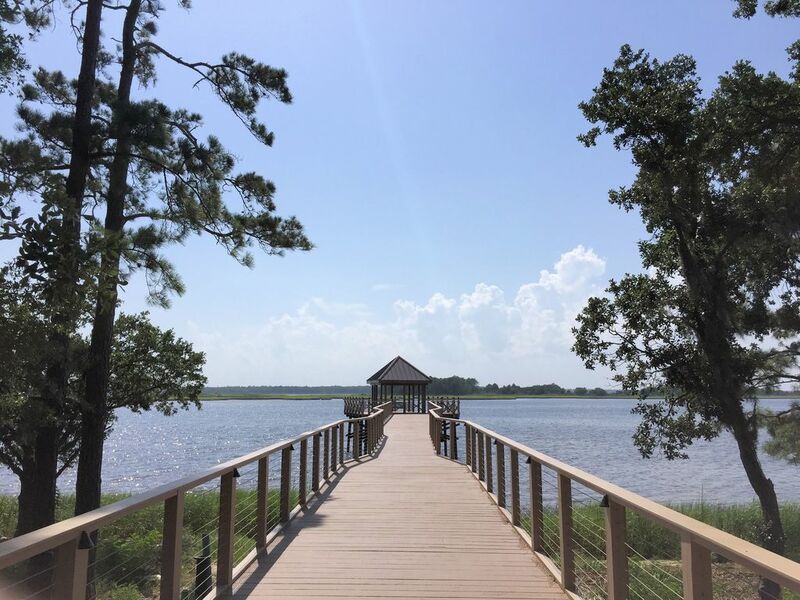 Technically located in Castle Hayne (just outside of Wilmington), this newer gated community has a marina, riverwalk, restaurant, community farm, swimming pool, fitness center, and parks and trails. Located a 10 minute boat ride from downtown Wilmington, it provides a quiet location with wonderful opportunities for boaters. The marina is still in development, but the launches and initial boat slips have been installed. Once completed, there will be 181 slips with an average water depth of 35’. There will also be a River Club featuring a restaurant, lounge, large stone fireplace, and views of the water. Learn more about the community and see homes for sale here. Situated along River Road, this large community is in the early stages of development, so the marina is not yet complete. 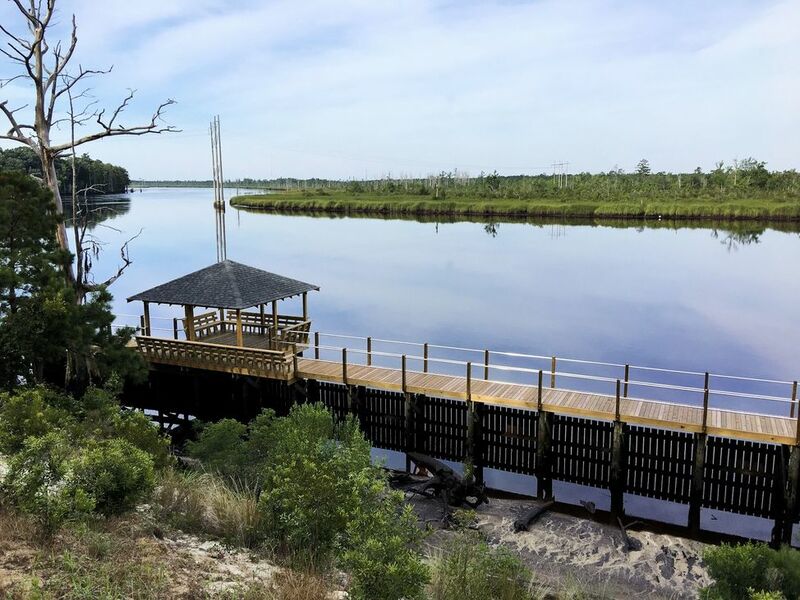 It currently has a public day dock that’s connected to a boardwalk built on the banks of the Cape Fear River. Visitors can access Smoke on the Water restaurant and Magnolia Café in Marina Village. Once completed, the marina will have 112 wet slips available to residents on an annual lease. The community also has a 40 acre lake that residents can kayak in. Learn about RiverLights’ other amenities and see homes for sale here. The Intracoastal Waterway (ICWW) is a 3,000 mile inland waterway that runs along the Atlantic and Gulf of Mexico coasts. It starts at Boston, Massachusetts, and meanders south right through Southeastern North Carolina. It’s a major landmark of our area and attracts thousands of boaters throughout the year. Multiple restaurants, attractions, and events are located right on the ICWW making easy access to the waterway in high demand among boaters. 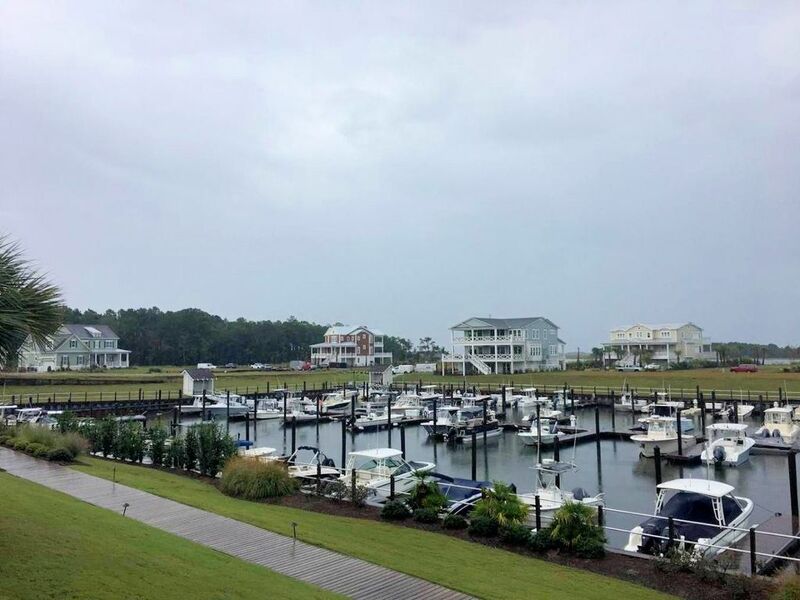 This waterfront community is located on Masonboro Loop Road, across from popular Masonboro Island. It has a 75-slip protected marina, which is surrounded by homes, so owners are just steps from their vessels. It also has a kayak launch, private beach, clubhouse, resort style pool, and gathering area with fire pits. Learn more about the amenities at Helms Port and see homes for sale here. This is a small luxury water access community located off Middle Sound Loop Road, minutes from Middle Sound Marina. All of the homes are custom built and have private assigned boat slips at the community dock. Residents can walk or drive their golf carts down to their boats for daily excursions. Homes in this community aren’t often on the market, but when they are, they don’t last long. See if there are any homes currently listed for sale in Register Place here. Located off Middle Sound Loop Road, this small community has just 25 custom home sites but has its own 57-slip marina, luxurious clubhouse, and swimming pool. The marina has a protected harbor and 30-40 foot boat slips that residents can easily walk to. The Intracoastal Waterway is just beyond the community’s concrete pier. See homes and lots for sale in Mason Harbour Yacht Club here. Not far from Myrtle Grove Sound, just off Myrtle Grove Road, is The Tides. This established community of about 50 homes has a private marina with a protected harbor that can accommodate boats up to 32 feet. The community also has a waterfront swimming pool with views of the marina, Intracoastal Waterway, and Masonboro Island State Natural Area. See homes for sale in The Tides here. These are just a few of the Wilmington communities that have marinas. All of them are single-family home communities, but there are also condo and townhome communities that have marinas. If you would like to see those or other single-family home communities with marinas, or would just like to see communities near a public boat ramp, don’t hesitate to reach out to us. We’re happy to customize an MLS search to your exact needs.